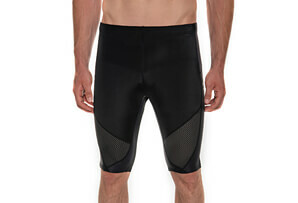 The Zensah Men's Tech Tight combines the best of Zensah's innovative compression technology into one piece - providing full ankle to hip compression. 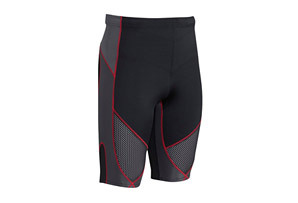 Chevron ribbing on the front of the tight to provides targeted shin splint relief and quad support. 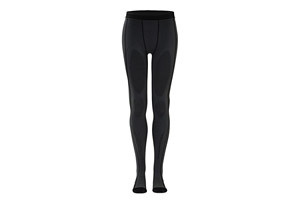 Made using seamless technology, the compression tights have no seams or tags to cause chafing or discomfort. A drawstring waistband prevents the tights from sliding down. They are great for any activity, such as running, basketball, working out, and more. 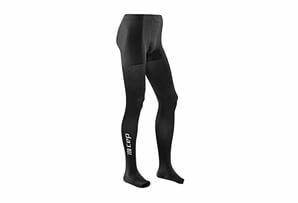 Use them after activity to help improve muscle recovery, as the graduated compression in the tights help to improve circulation. 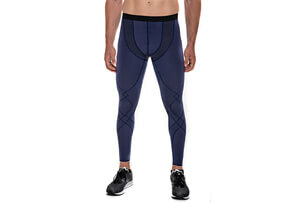 Made in the USA of a nylon / spandex blend, the compression tights are moisture wicking and breathable, ensuring you feel great during your hardest runs or workouts.